©2018 Luonto® Furniture. All rights reserved. In 1964 Pentti Viitala created our company with the idea that high quality furniture should be available at fair prices. While the company has grown substantially in it’s 54 years of business, this one simple word has been passed from one generation to the next and remains the foundation of everything we do, quality. For us quality is not just the raw materials which we use but also the skilled craftsmen, manufacturing processes, support staff, design, comfort and more. Quality in our eyes is the full package and that is what we aim to deliver. 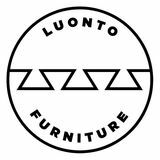 To this day Luonto Furniture remains family owned and operated, enabling us to stay true to our beliefs. Maintaining our standards throughout the decades is what has and will keep our business moving forward for generations to come. As a result of our commitment to quality, Luonto Furniture is able to be transparent in every aspect. We want our customers to know every detail down to the frame of their furniture so they are 100% confident in what they are buying. Every detail matters and that is why we invite our customers inside our production. There you will find all the quality raw materials you would expect but also much more, our employees. On average our employees have been with us over 20 years. That is a testament to the pride they take in their work and the level of professionalism and experience we are fortunate to have in our workforce. Our sustainable manufacturing processes provide a clean and safe environment for our employees as well. These processes are something deeply rooted in our culture and have been developed over the history of our business, practices which we certainly believe support our mission of quality. With a focus on design with function, Luonto Furniture aims to bring you the most exciting furniture available. Maintaining beautiful design and incorporating so much function puts our team to the ultimate test, With their experience they achieve what we are proud to present in the following pages. We hope you enjoy our products as much as we do! 1964 PRODUCTION ON A FARM Pentti Viitala, father of six, made the most courageous decision of his life; bought a lorry with his friend and began to upholster used sofas in the henhouse on his home farm. Sofas were then sold to door- to door. Pentti, his wife Viola and one employee began manufacturing new sofas at the former Viitala village schoolhouse in Kurikka, Finland. There products were marketed at sports and youth clubs during sales events that Pentti pioneered. Timo Viitala, Owner and Chairman of the Board, pictured making buttons for sofas. This was Timoâ&#x20AC;&#x2122;s first of many roles he would go on to play in shaping the future of the business. The schoolhouse was home to both the factory and the Viitala family. Working together, the family business moved from reupholstering to producing their own sofas here. With increase demand, the company began investing in new equipment. Sewing, foams, and upholstery work were all now done in-house. To cut down lead times and meet demand, quantities of raw materials began being warehoused. Additional lorries purchased as home deliveries expanded. Deliveries were being made by truck, door to door, all over Finland. Penttiâ&#x20AC;&#x2122;s basic principal was to sell quality goods at a fair price. His concept was a success and in 1977 the operations were expanded with the purchase of the Kuusisto sawmill. Now making frames in-house as well, the company size grew to 20 employees and sales to retailers were initiated. The entire decade marked a period of strong growth and big change for the company. In 1987, the company made a large investment and the initial foundation for the current Kurikka factory was laid. Additionally, Pentti and Viola named their children as partners in the business. Timo Viitala was named CEO of the company. A born leader and visionary, the companyâ&#x20AC;&#x2122;s success was sure to continue. Timo remains an active member of our team as Chairman of the Board where he continues to mentor and share his vision. Immediately following the dissolution of the Soviet Union, the company made a brave decision to export to Russia and its neighboring countries. This boost in Eastern European trade saved the company from the effects of the recession taking hold of the Scandinavian market. As exports increased and our market share in Finland became even stronger, the need for increased capacity came again. Our second production line was completed and outfitted with state of the art equipment. As growth continued so did the need for capacity. The company now owned three production lines with approximately 400 employees working full time. With increased production capacity the company was now selling products in 15 different countries through roughly 550 retailer locations around the world. The company exports to 18 countries worldwide through approximately 800 retail fronts. In the US and Canada Luonto is now available in most major cities with 120 retail locations and growing. Additionally, we now have 3 showrooms located in West Palm Beach, FL, Las Vegas, NV, and High Point, NC. North America continues to show strong growth, making it the company’s largest export market. Retail locations have grown to over 160, slowly expanding the availability of Luonto. Our network has not only grown but we have refined it as well to ensure we continue to select the best partners that can provide our end customer with the ultimate experience. Head of Production Development Sami Teini leads our eighteen person research, design and development team. He has worked for the company for over 30 years and the experience he brings to our company is invaluable. With his leadership, our production development focuses on design with function and one central theme, quality. The team is made up of experienced professionals that specialize in specific areas of production. By assembling a group that compliments one anotherâ&#x20AC;&#x2122;s strengths, our designers are able to work together and understand the limitations of each aspect of production, find solutions, and achieve our goals. Our sustainable manufacturing processes are part of our heritage. Finland maintains very strict environmental standards which we have grown to live by. Roughly 80% of our country is lake and forest and a big emphasis on sustainability exists in our culture. This is not something we do to be on trend but rather it is done simply because it is where we come from and how we do things. To speak to our sustainability efforts we can look to the beginning of the manufacturing process, the raw material. Viitala Forest is our family timber business and shows we really understand where our materials are coming from. Mainly Nordic Spruce and Birch are harvested and used in our sofa frames. Whenever a forest is harvested in Finland the trees are replaced for future use. The life cycle of one of our forests if roughly 80 years. Once the timber is kiln dried and moved in for production, no saw dust is wasted. We produce roughly four thousand pounds of wood waste per day converting it into pellets that heat all three production lines, local schools and even one local town. To keep our factory clean, once our design team has perfected our foam core shape, the template is sent to our supplier. This ensures our foam shape is accurate 100% of the time and prevents foam waste from entering the factory. From the beginning of production we look for raw materials and suppliers that support our efforts all the way to the end where we even make sure the scrap upholstery is repurposed by artisans. With these methods and more we have a minimal footprint in making our product while helping others that can benefit from our byproducts. One of the Viitala forests in which timber are harvested. This forest is nearing the end of it’s life cycle and will soon be harvested and prepared for the next generation to take care of. Within our factories we have a vacuum system which collects all of our wood waste to a central location. This process keeps a clean environment in the factory while collecting byproduct to be repurposed. Just outside our factory we have a separate plant which turns our wood waste into pellets. These pellets are burned and the heat is used both by us and our local communities. In our experience running the family saw mill we see the impact the use of these raw materials has on our earth. The importance of maintaining our forests, harvesting, and planting for future use is business as usual for Luonto. LUONTO® COLLECTION 2019 A focus on Scandinavian design and quality with an emphasis on functionality. Scandinavian design was a movement from the 1950’s based on simplicity, minimalism and functionality. A style that allows our design team to be flexible while staying on target and true to our roots. True to form, our furniture has the simple, clean lines you would expect and it is full of function! Whether you need the perfect sleeper sofa, additional storage, adjustable seating comfort, and more, we have solutions with style. Never one to compromise comfort, we take great pride in building our furniture for everyday use while incorporating functions that can make your life easier. Nexus Mechanism, A more traditional sleeper mechanism but of course the highest quality available. Single motion provides the user with easy operation while making it possible to keep bedding ready on the mattress. ALAND SLEEPER COLLECTION Aland is the perfect sleeper sofa for someone requiring an easy, familiar sleeper function for quick setup. The design itself uses track arms and is what we consider very transitional, making it appeal to a large audience. Nexus Sleeper Mechanism,Warranty 3 years. Duo Mechanism, Possibilities are endless with the Duo mechanism. When being used as a sleeper, this mechanism is unique in the fact that you may have two separate beds or combine them to make one queen size bed. Simply lift the front panel of the sofa and slide out your optional second mattress. SLEEPER SOFA Boras is a modern take on the traditional roll arm sofa, providing a comfortable surface for your arm to rest while maintaining a sleek design. Boras accommodates a separate mattress stored under the sofa. Hybrid Mechanism, We combined two of our great mechanism to make one easy sleeper function! Using a dual-motion mechanism allows us to make the experience even easier on the user. Simply lift from the front seat panel and walk back the center and leg portion of your mattress. Once open, flip the padded backrest down to reveal a comfortable mattress. Roll out arms and a perfected seat angle has made Casey a top choice by customers around the world. For those of you with a more traditional appeal, Casey provides the look you want with the comfort you need. MODULAR COLLECTION The Copenhagen collection features a wide track arm, adjustable back cushions for optimal seating comfort, and is available as a sleeper sofa with storage. The adjustable back cushions allows the Copenhagen to have a low profile back while in its resting position giving you the look you desire with the comfort you need. ed. We have been making this space saving function for years and the simple yet functional system y Deluxe leaves a small footprint while providing your guest with a comfortable bed. Adjustable back cushions not only provide a sleek appearance but give the user the ability to change the seat depth for comfort. FORGET MULTIPLE PIECES OF FURNITURE, STORAGE PROBLEMS, LACK OF SPACE AND POOR SITTING & SLEEPING COMFORT. LUONTO® SLEEPERS MAKE YOUR HOME MORE BEAUTIFUL, COMFORTABLE AND FUNCTIONAL. Flip Mechanism, One of the smoothest sleeper functions on the market. Simply lift the front seat and with a flick of a wrist a bed is revealed. As with all of our mechanisms, Flip provides superior sleeping comfort without compromising the seating comfort or seat structure. SLEEPER COLLECTION Multifunctional sectional with bench made details. Function has never looked so good! Delta Sleeper Sectional features 4 main Functions: 1.) Back rest height adjustment, 2.) Sleeper Function, 3.) Storage box under the chaise, 4.) USB Charging port for handheld devices (optional). Bunk Bed Mechanism, Combining multiple patents and components, we are able to bring to you the first ever GCC compliant bunkbed intended for home furnishing use in the US. Following a few simple steps, the user can lift from the front panel of the seemingly normal sofa and begin the setup of what is ultimately a bunkbed that can hold two full-size adults. SLEEPER COLLECTION The Erika collection features a full range of bed sizes including single, full size, Queen size and king size sleepers. With a slim arm profile and wooden leg, the Erika collection is light and elegant in appearance but maintains the sturdy construction you can expect from us. Nest Mechanism, This dual-motion, sleeper mechanism, rests a portion of the mattress perfectly below your seat, the other tucked away in the back frame. This combination provides us the space needed to give the user the ultimate in comfort for both sitting and sleeping without compromising style. Level Mechanism, the Fantasy sleeper chair and loveseat convert into a single, queen or king size bed. This premium, single motion mechanism reveals a sleeper faster than any of our functions. Simply lift from the front sofa panel and walk backwards reveling a full sleeping surface in a single, swift motion. The Level allows for superior seating and sleeping comfort. Putting the bed away is just a simple, lift from the front panel of the sofa and walk the seat in. SLEEPER & MODULAR COLLECTION With timeless track arms, durable upholstery, and legs available in either a wood or metal finish, there are not many rooms that the Fantasy collection can’t call home. Easy Deluxe Mechanism, Simply lift the seat to reveal a storage compartment then flip the padded backrest down and you have a Full Size XL bed. We have been making this space saving function for years and the simple yet functional system remains in high demand. Ideal for narrow spaces or rooms where the user doesn’t have the floor area for a traditional size pullout sleeper, Easy Deluxe leaves a small footprint while providing your guest with a comfortable bed. SLEEPER & MODULAR COLLECTION Love our functions and want them all? Then Flex is for you! Select your sofa size, bed size, storage location, arm style and build your dream sofa. Each one is unique, make it your own. SLEEPER COLLECTION If you’re looking for functionality and a chic look, the Flipper collection is for you. One can’t help but notice the detailed hand sewn upholstery work on the Flipper collection. Whether your style is traditional or contemporary, the Flipper collection fits beautifully into any design scheme. Easy Deluxe Mechanism, Simply lift the seat to reveal a storage compartment then flip the padded backrest down and you have a Full Size XL bed. We have been making this space saving function for years and the simple yet functional system remains in high demand. Ideal for narrow spaces or rooms where the user doesn’t have the room for a traditional size pullout sleeper, Easy Deluxe leaves a small footprint while providing your guest with a comfortable bed. The Flipper sleeper sectional and sofa sleeper converts to a Full Size XL bed with storage below and fully upholstered to be used as a double chaise against the wall. SLEEPER COLLECTION Free, named for it’s ease of use and not for it’s price, this sleeper sofa has one of the smoothest sleeper function. With the flick of your wrist a full size bed appears within seconds. Complete with adjustable legs to level the bed, track arms and loose back cushions, this sofa is perfectly simple. Laptop Function, Named to describe exactly what the mechanism provides, a table top over your lap! When lifted, the mechanism extends up and outward, allowing you to stay comfortably seated while having a solid surface to work on. COFFEE TABLE If you’re working from home more often like the rest of us then the Functional Coffee Table from Luonto is the solution for you. Designed to allow a comfortable seating position while in use, the table top extends towards your lap. Underneath the table top reveals a generous storage space for all the clutter you want to clean up. DESIGNED FOR A LIFE WITH NO EXCUSES This photo was taken near the mountain, Halti. The vast view embodies the limitless ideas we have and captures the thought that anything is possible. A beautiful example of inspiration we draw from when designing our sofas and incorporating functions. Level Mechanism, the Leon loveseat convert into a, queen size bed. This premium, single motion mechanism reveals a sleeper faster than any of our functions. Simply lift from the front sofa panel and walk backwards reveling a full sleeping surface in a single, swift motion. The Level allows for superior seating and sleeping comfort. Putting the bed away is just a simple, lift from the front panel of the sofa and walk the seat in. SLEEPER COLLECTION The Leon queen size sofa sleeper features contrast piping to accentuate the sleek design lines and a simple mechanism that when the seats are lifted an inviting mattress is revealed. Truly made for every day sitting and sleeping. SLEEPER COLLECTION Thick arms with a slight flare make the Malibu one comfy sofa. Whether you’re sitting and want to curl up against the soft arm or you convert the sofa to a bed, you can count on being comfortable. This design makes a statement without compromising anything. Sleeper sofas remain one of the most functional additions to any sofa but have historically been avoided for everyday seating. Luonto designs work around our mechanisms to ensure superior comfort in both seating and sleeping positions. Double Mechanism, Simply one of a kind, a recliner and a sleeper in the same seat. When reclining, the Double Mechanism maintains a vertical back support while lifting your feet up to relax. The position results in the ultimate in sitting comfort. In sleeper mode, a foam mattress is used to eliminate the spring mattresses of the past and keep in tune with our commitment to comfort. MULTIFUNCTIONAL COLLECTION Have you ever been in your recliner sofa and thought, I wish this were a bed? Neither have we! But we did think how nice if your recliner sofa could sleep your guests for the evening. Meet Monex, power reclining sofa and headrest combined with a single motion sleeper function. SLEEPER COLLECTION The Monika collection is our best selling collection in the US and Canada. Whether you want a single sleeper, full size, queen size or even king, the Monika collection has it all. Ascetically pleasing to a large audience, Monika is a go to product for it’s ability to conform to any environment. Swing Mechanism, Unlock the seat and get ready to roll. Swing Mechanism pivots 90 degrees, locks in place, and reveals a full size, XL bed. Under the other seat simply lift and you have a generous storage compartment. SLEEPER SECTIONAL The New York maximizes any space providing a sectional, sleeper, and storage all in one. In addition to the function the design and upholstery detail makes this piece really stand out. A real conversation starter, the New York is simply fun to own! SLEEPER COLLECTION Transitional design with our best selling sleeper mechanism. Nico maintains it’s conservative look with it’s thin track arm while stepping into a more contemporary space with it’s low profile. SLEEPER COLLECTION The added pillow between the seat and arm hugs your body as you slide into this sleek design. Extremely versatitle in it’s look, changing Paris from leather to fabric or legs from metal to wood allows the design to conform to it’s surroundings. Ratchet headrest to further improve comfort. Nest mechanism provides ultimate sleeping comfort. Non Slip Function, Utilizing a fabric that creates friction with any upholstery, this function allows us to get funky. Place your back supports anywhere you like to create your own unique sitting/sleeping surface. SLEEPER COLLECTION Standard with non-slip back pillows, Street allows the user to configure their sofa for any occasion. An industrial design combined with function to create an inviting space for you and your guests. Giro Mechanism, Utilizing a fabric that creates friction with any upholstery, this function allows us to get funky. Place your back supports anywhere you like to create your own unique sitting/sleeping surface. SLEEPER SOFA Tall legs make the Tango Sleeper stand out. Wood accent handles and back rest supports match the legs to achieve this simple, Scandanavian look. Level Mechanism, This premium, single motion mechanism reveals a sleeper faster than any of our functions. Simply lift from the front sofa panel and walk backwards reveling a full sleeping surface in a single, swift motion. The Level allows for superior seating and sleeping comfort. Putting the bed away is just a simple, lift from the front panel of the sofa and walk the seat in. SLEEPER COLLECTION Perfect for sitting, perfect for sleeping. Toronto comes standard with our single motion sleeper mechanism. Track arms make Toronto appeal to the masses. Easy Mechanism, An oldie but goodie! We have been putting this sleeper function into sofas since the late 70’s and it remains a top choice by customers today. Easy Mechanism is perfectly simple and allows our team more flexibility in the design phase because of it’s simplicity. When operating the mechanism, a storage compartment under the seat as well as a full size bed is revealed. SLEEPER SOFA A true classic Scandinavian design, Uni sofa sleeper features a slightly tapered arm, fixed seat cushions, removable back cushions, and a wood finish leg. A function that we have used for decades, it’s perfectly simple. SLEEPER COLLECTION Compact design and loaded with comfort and function, West is ultimate luxury sleeper sofa. Designed primarily with seating and sleeping comfort in mind, we aimed to provide a sofa that was supportive for healthy lifestyle whether in seating or sleeping mode. Our attention to detail didn’t stop there, our design team incorporated a transitional look that would appeal to all ages and styles. MODULAR COLLECTION Arena is extremely fun and comfortable. Whether you want to mix and match your colors to represent your favorite team or simply want a sectional sofa, the Arena will not disappoint. As comfortable as it is cool, this piece will surely spark conversation and provide a fun atmosphere for your guests. MODULAR COLLECTION Delicate, tall legs set the stage for this timeless sofa. Complete with a track arm and loose back cushions, Capri is a design that is easy on the eye and will stand the test of time. ROCKING CHAIR Because everyone loves a rocking chair, especially one that has a slim and small profile. Domino rocking chair is perfect for that tight space an extra seat is needed but difficult to fit. One can’t help but notice the detailed hand sewn upholstery work on the Flipper collection. Whether your style is traditional or contemporary, the Flipper collection fits beautifully into any design scheme. Soft, rounded arms match the shape of the cushions on this Luonto Modular, making it inviting to sit on. Loose back cushions complete with a tall leg give this sofa the final Scandanavian touches needed to separate it from the pack. Available deep angled seats can give your sofa a very unique shape to conform to the room or make a statement. CHAIR COLLECTION Scandinavian design meets midcentury modern. Tufted buttons accentuate the shape of our Lime Chair. With a tight seat to complete the look, this chair is comfortable and cool. A simple modular with only 7 optional pieces. Loft has the deep seat so many seek these days. Loose back cushions and tall legs give this luxurious sofa a sleek design without compromising the comfort. Curl your legs up and lay back, you’ll want to hang on the Loft all day long. COLLECTION A perfect companion to any living room, the Niklas makes a statement. True to our Scandinavian roots, this design makes for an excellent conversation piece without comprising the seating comfort you expect from Luonto Furniture. Handmade details such as the finger joints that join the armrest together at the bend are what makes this piece so striking. SOFA COLLECTION The Poet collection is well known for it’s seating comfort. Lean on the pillow arm to relax or slide back into the seat and let the perfect angle set your body at ease. SOFA COLLECTION A traditional Scandinavian design, Ritz features an updated version of a roll arm which tappers down to a slightly angled leg, creating a beautiful silhouette. Ritz provides a contemporary flair with the subtleness of a traditional sofa. SOFA COLLECTION One of our best sellers worldwide, Tokyo comes packed with an array of functions available as you build your dream sofa. Featuring wide track arms with loose back cushions, this sofa sets the stage for a luxurious room with its commanding presence. XL bed. We have been making this space saving function for years and the simple yet functional eper, Easy Deluxe leaves a small footprint while providing your guest with a comfortable bed. Recliner seats not only provide a sleek appearance but gives the user the ability to adjust the seat to any angle for ultimate comfort. COLLECTION They say what goes around comes around, that is the case for Trip! Returning to the collection after toping the charts in the 70’s, Trip maintains clean lines throughout while utilizing detailed sewing to create texture and pattern to the piece. SOFA COLLECTION Viola embodies Scandanavian design with it’s simple, clean lines. Optional wood trim around the base of the sofa with slightly angled wooden legs make this thin track arm sofa stand out. COFFEE TABLE COLLECTION Narvik coffee tables are as versatile as they are stunning. With several height and table top size options, you can move them around to meet all your needs. To ensure the highest quality these tables are assembled from kiln dried wood and the optimal moisture is maintained throughout the production process. BED COLLECTION Upholstered all over and low to the floor, if contemporary is your style then this is for you. Prima bed maximizes your room with standard adjustable headrests and a storage box. CHARGING PORT Add a USB Charging Port to any of our functional sleepers or multifunctional sectionals for modern day convenience. Perfect for charging mobile phones, tablets and other handheld devices. Save the day with an extra charger for a guest or get some battery life back while you sit and relax. charger can be attched to any our sleeper or multifunctional sofa. TRAY The perfect companion for a track arm sofa, the Rulo trays are made from slates of birch wood. They create a solid surface by taking shape around your sofa arm. FUNCTIONAL DUAL-MOTION SLEEPER MECHANISM. This dual-motion, sleeper mechanism, rests a portion of the mattress perfectly below your seat, the other tucked away in the back frame. This combination provides us the space needed to give the user the ultimate in comfort for both sitting and sleeping without compromising style. IDEAL FOR NARROW SPACES. Simply lift the seat to reveal a storage compartment then flip the padded backrest down and you have a Full Size XL bed. We have been making this space saving function for years and the simple yet functional system remains in high demand. Ideal for narrow spaces or rooms where the user doesn’t have the floor area for a traditional size pullout sleeper, Easy Deluxe leaves a small footprint while providing your guest with a comfortable bed. PREMIUM SINGLE MOTION MECHANISM. This premium, single motion mechanism reveals a sleeper faster than any of our functions. Simply lift from the front sofa panel and walk backwards reveling a full sleeping surface in a single, swift motion. The Level allows for superior seating and sleeping comfort. Putting the bed away is just a simple, lift from the front panel of the sofa and walk the seat in. LEVEL POWER MECHANISM, Simply operate your remote control according to the instruction manual and you are able to open and close your sleeper mechanism with the push of a button. FUNCTIONAL DUAL-MOTION MECHANISM. We combined two of our great mechanism to make one easy sleeper function! Using a dual-motion mechanism allows us to make the experience even easier on the user. Simply lift from the front seat panel and walk back the center and leg portion of your mattress. Once open, flip the padded backrest down to reveal a comfortable mattress. True to Luonto form, the mechanism allows for us to maintain the seat construction and seating comfort while still provide the user with the ultimate in sleeping comfort. ULTIMATELY A BUNK BED THAT CAN HOLD TWO FULLSIZE ADULTS. Combining multiple patents and components, we are able to bring to you the first ever GCC compliant bunkbed intended for home furnishing use in the US. Following a few simple steps, the user can lift from the front panel of the seemingly normal sofa and begin the setup of what is ultimately a bunkbed that can hold two full-size adults. DUAL FUNCTION SLEEPER MECHANISM Dual function sleeper mechanism. Moving seat depths for superior relaxation. Pull the Move Mechanism forward to give a deep, relaxing seat or lift all the way out to create a large sleeping surface that doubles as a triple chaise for movie night. ONE OF THE SMOOTHEST SLEEPER FUNCTIONS ON THE MARKET. One of the smoothest sleeper functions on the market. Simply lift the front seat and with a flick of a wrist a bed is revealed. As with all of our mechanisms, Flip provides superior sleeping comfort without compromising the seating comfort or seat structure. EASY MECHANISM IS PERFECTLY SIMPLE. An oldie but goodie! We have been putting this sleeper function into sofas since the late 70’s and it remains a top choice by customers today. Easy Mechanism is perfectly simple and allows our team more flexibility in the design phase because of it’s simplicity. We utilize CNC technology to achieve pinpoint accuracy. Assuring every piece aligns and every hole is drilled correctly. After cutting, all component edges are hand sanded. Frames are assembled by hand. Every single joint where wood touches wood, water-based glue is applied. Using all high grade raw materials, our framework is clean, strong and built to last. Our solid foam cores are wrapped with Dacron to creating a comfort layer between the upholstery and foam. The gluing is an important step as it prevents the material from separating thus avoiding any future lumping. We have found through experience that technology cannot always match the quality of our craftsmen as they possess the touch and feel that machines cannot replicate. All top grain leathers and patterned upholsteries are cut by hand. SEWING Known for their attention to detail, our ladies machine sew every stitch of your sofa to perfection. From surging hidden edges to prevent fraying to stitching details critical to the design, our sewing department makes it happen. UPHOLSTERING Where it all starts to come together, a critical step. This requires precision and strength, our team of upholsterers are pros and they are tough. FABRICS FABRIC COLLECTION Over 200 fabrics in our collection, sourced from the best mills across Europe. Our lowest grade upholstery starts with a minimum of 20,000 Martindale rounds. This tells us how long the fabric will last during normal use. These test are critical and our team studies them carefully to ensure all upholsteries we use meet our quality standards. Collection also includes our performance upholstery Aqua Clean, from Spain. Using only water, these fabrics can take any spill besides motor oil. Fabric upholsteries are available in grades A-E, you can shop by price, durability or both. LEATHERS LEATHER COLLECTION Over 50 top-grain Italian leathers available to select from. Leather from Europe is superior in quality providing us with thicker, larger hides with minimal scarring. Every leather hide is quality checked for color and overall quality. Once approved for production, leathers are hand cut to ensure the best pieces are used on the sitting surfaces. Available in 5 different grades depending on your preference. FRAME Grown only in the northern hemisphere, Birch and Nordic Spruce are extremely durable as a result of the cold, harsh climates they grow in. Birch is solid, making the frame reliable while the Nordic Spruce allows a little flex on the seat frame without compromising its durability. FINGER JOINTS Using an age old technique that has proven to be indestructible, each seat frame uses finger joints to lock the corners in place. Complete with water based glue on every single joint. Spring holders are metal and coated with plastic making them strong but silent. Each holder is hand applied with glue staples which activate with heat to lock them in. Made to last, we use no zag springs for our seat suspension system. With a minimum of 4 per seat, these springs prevent your seats from sagging. Friction between your foam core and springs can create breakdown. We add felt to create a barrier and prolong the life of you sofa. We use thick cuts of 2.2 density, highly resilient foams. This ensures they meet durability tests that pass our quality standard. To provide a soft comfort barrier between your foam core and upholstery, a soft material is glued in place. Back pillow fibers are machined separated to eliminate lumping. Once ready, the fibers weighed and blasted into all corners of the pillow. The pillows themselves are chambered to allow for additional lumbar support and make sure sagging does not occur over time. Keeping in line with all of our high standards, hardboard is used on the backside of our sofas. When designed properly to secure to the frame, hardboard creates a sturdy, reliable surface. When your sofa has a tight back cushion, webbing is used as the suspension system. Depending on the design, straps are hand applied evenly to create the perfect back support. Using clever, simple engineering combined with durable components, our mechanisms are assembled in house. Products are packaged with much care and thought to ensure your product arrives safe and sound. Unwrap your sofa to the smell of fresh wood. HOW TO ORDER? Made in Finland, Stocked in the USA Luonto Furniture products are available through our Authorized Dealer network throughout the US and Canada. These professionals are able to walk you through the process of purchasing your own Luonto piece while providing a customer service experience equal to our products quality. We believe this human to human interaction in today’s world is critical, particularly when purchasing an item of high quality and that the service should be a reflection on the product’s quality. As such, we hold our dealers to high standards to ensure you have the best possible experience. To better serve our North American market, Luonto has setup a distribution facility on the east coast. Located in Greensboro, NC, we stock and distribute the best selling US and Canadian models and upholsteries. This gives us the ability to ship high quality furniture made in Finland within 1-2 business days upon receipt of that order. Should you have difficulty finding the perfect piece from our in stock selection, not to worry, we have many options for you on a special order basis. Special orders are placed at your local authorized dealer and then sent to our factory where your custom sofa is hand made. With over 200 European upholsteries, 50 Italian leathers, varying sleeping and seating comfort, many functions and more, your sofa dreams can come true with our endless options. Once complete, your sofa will arrive to our distribution center (10-12 weeks) and we will ship it out immediately. While we work closely with our dealer network to ensure you receive the best possible experience we are always available should you need to contact us directly for assistance in your purchase. Luonto Furniture 4209 S Dixie Hwy, West Palm Beach, FL 33405 | CALL CENTER +1 (888) 255-2951 ONLINE www.luontofurniture.com | EMAIL: customerservice@luontofurniture.com ©2018 Luonto® Furniture. All rights reserved.